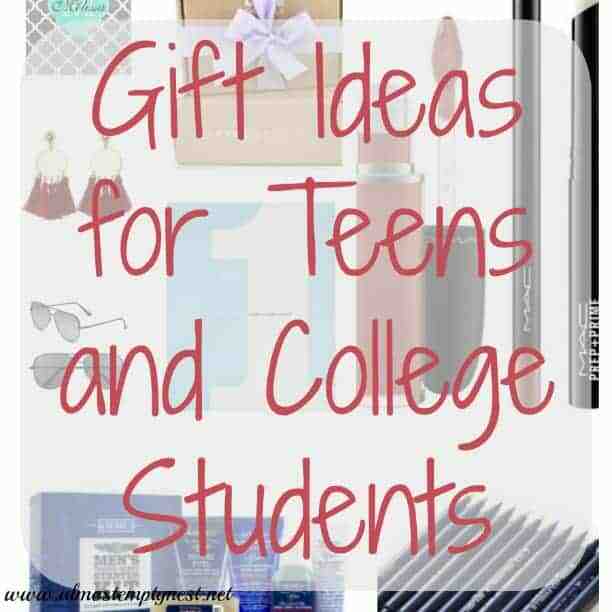 Sending a child off to college is a monumental step for both parent and student. 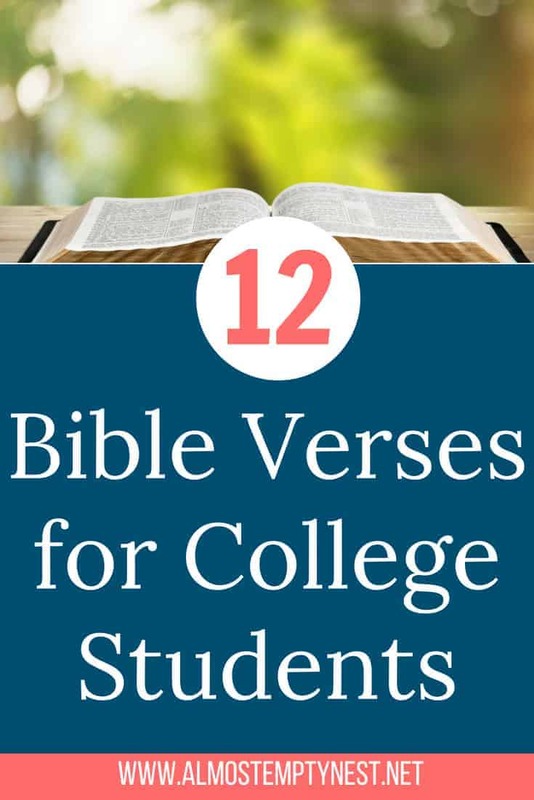 These 12 Bible Verses for College Students will encourage your student during the days of struggle, fear, loneliness, and moral turmoil that are ahead. They will also help them remember to shout for joy at their hard earned successes and to know that every good and perfect gift is from above. 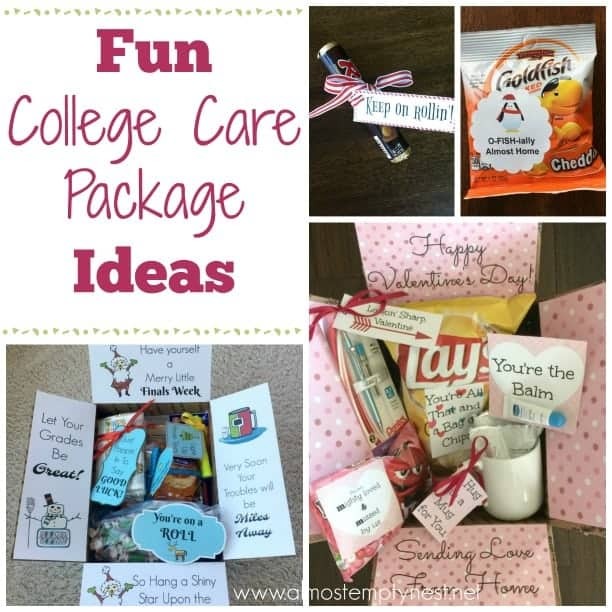 I created printables of the 12 Bible Verses for College Students listed below for you to tuck into a care package or print out for their bulletin boards. They are available for you to print in the Subscriber's Library. You may gain access to the library by subscribing below. 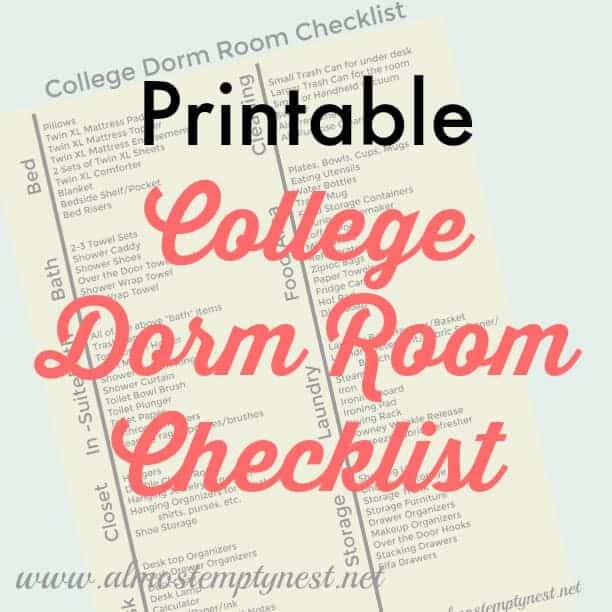 The library contains not only the Bible verse printables, but also all of the other printables featured in posts on Almost Empty Nest. Psalm 19:14 – May these words of my mouth and this meditation of my heart be pleasing in your sight, LORD, my Rock and my Redeemer. 1 Peter 5:7 – Cast all of your anxiety on him because he cares for you. Isaiah 41:10 – So do not fear, for I am your God. I will strengthen you and help you; I will uphold you with my righteous right hand. Philippians 4:6-7 – Do not be anxious about anything, but in every situation, by prayer and petition, with thanksgiving, present your requests to God. And the peace of God, which transends all understanding, will guard your hearts and your minds in Christ Jesus. 2 Timothy 1:7 – For the Spirit God gave us does not make us timid, but gives us power, love, and self-discipline. John 16:33 – In this world you will have trouble. But take heart! I have overcome the world. Philippians 4:8 – Whatever is true, whatever is noble, whatever is right, whatever is pure, whatever is lovely, whatever is admirable – if anything is excellent or praiseworthy – think about such things. College is full of ups and downs. These 12 Bible Verses for College Students will encourage them to lean on the Lord during times of joy and trial. 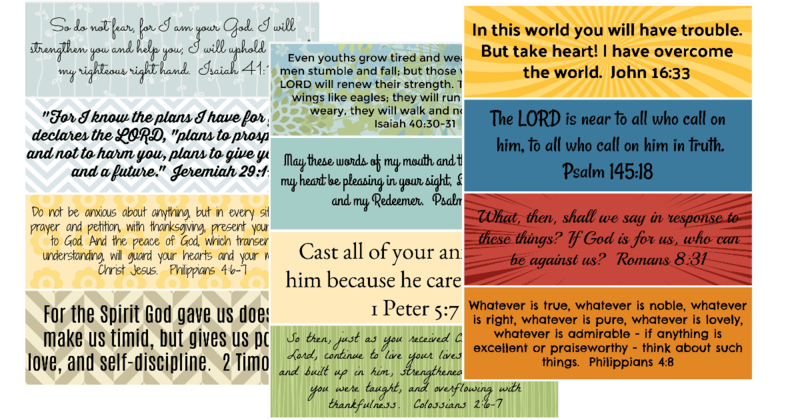 These printable verses are available in the Subscriber's Library. Sign up below!! These are fantastic verses not just for college kids, but for everyone. I especially love that verse from John 16.